1 Kohler, G. and Milstein, C. (1976) Derivation of specific antibody-producing tissue culture and tumor lines by cell fusion. Eur. J. Immunol. 6, 511-519. 2 He, Y., Honnen, W. J., Krachmarov, C. P., et al. (2002) Efficient isolation of novel human monoclonal antibodies with neutralizing activity against HIV-1 from transgenic mice expressing human Ig loci. J. Immunol. 169, 595-605. 3 Hoogenboom, H. R. and Chames, P. (2000) Natural and designer binding sites made by phage display technology. Immunol. Today 21, 371-378. 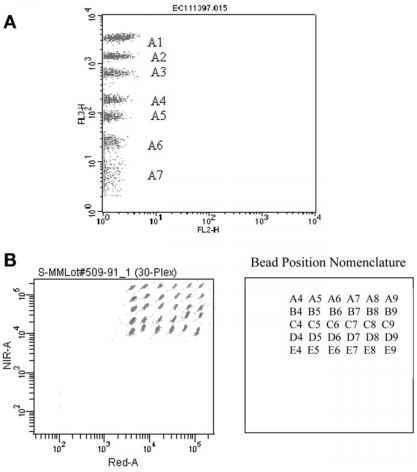 4 Liu, B., Huang, L., Sihlbom, C., Burlingame, A., and Marks, J. D. (2002) Towards proteome-wide production of monoclonal antibody by phage display. J. Mol. Biol. 315, 1063-1073. 5 Hanes, J., Schaffitzel, C., Knappik, A., and Pluckthun, A. (2000) Picomolar affinity antibodies from a fully synthetic naive library selected and evolved by ribosome display. Nat. Biotechnol. 18, 1287-1292. 6. Tomlinson, I. and Holliger, P. (2000) Methods for generating multivalent and bispecific antibody fragments. Methods Enzymol. 326, 461-479. 7 Proske, D., Blank, M., Buhmann, R., and Resch, A. (2005) Aptamers—basic research, drug development, and clinical applications. Appl. Microbiol. Biotechnol. 69, 367-374. 8 Hudson, P. J. and Souriau, C. Engineered antibodies. (2003) Nat. Med. 9, 129-134. 9. Jain, K. K. (2005) Personalised medicine for cancer: from drug development into clinical practice. Expert Opin. Pharmacother. 6, 1463-1476. 10 Bioinfomatics (2004) The market for antibodies: keys to success for commercial suppliers. Report #04-049. 11 de StGroth, S. F. and Scheidegger, D. (1980) Production of monoclonal antibodies: strategy and tactics. J. Immunol. Methods 35, 1-21. 12 Mechetner, E. and Roninson, I. (1998) Monoclonal antibody to a human MDR1 multidrug resistance gene product, and uses. US Patent no. 5,773,280.